Have you ever looked at the content label on that brand new pair of jeans you just bought and wondered where the 98% cotton came from or how was it produced? Or whether it was made sustainably? 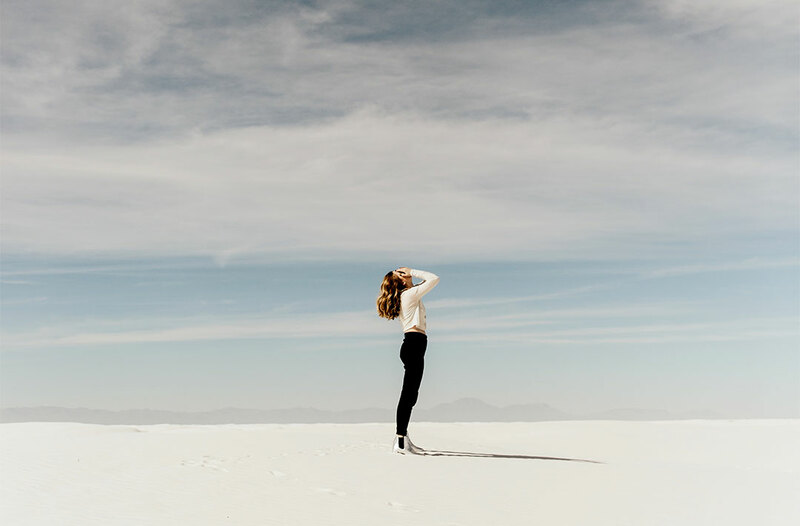 These are some great questions to ask yourself if you are interested in living a sustainable lifestyle, especially because the fashion industry is the second largest industry in the world at $12 billion annually. But in the midst of finding the perfect summer dress we almost never think about agriculture’s link to the fashion industry and how it plays a major role in how eco-friendly our wardrobe becomes. Before we dive in, here’s a quick note: the following article won’t give you all the solutions to the problems in the fashion industry. We’ve got a long way to go before our clothes are 100% sustainable. However this article will bring awareness to how the agricultural industry and the fashion industry are linked, and hopefully give you food for thought the next time you go shopping. In recent years, organic cotton has become one of the biggest trends in sustainable fashion. 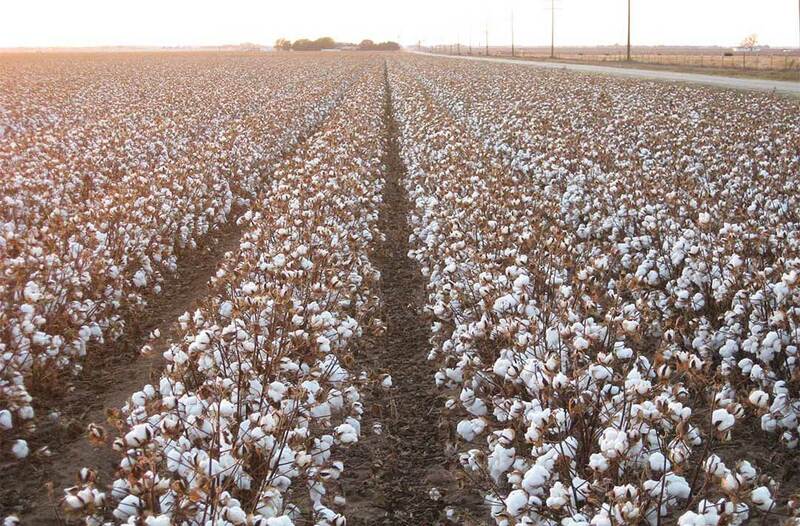 In fact, the Organic Trade Association estimated that the number of acres farmed with organic cotton in the U.S. rose by 14% in 2014, bringing the grand total to 18,234 acres. That represents the most organic cotton acreage seen in the U.S. in almost 20 years. So what does “organic cotton” even mean? Well, cotton can be called organic when: “[it] is grown using methods and materials that have a low impact on the environment. Organic production systems replenish and maintain soil fertility, reduce the use of toxic and persistent pesticides and fertilizers, and build biologically diverse agriculture” (Organic Trade Association). This means that farmers use crop rotations, organic herb mixtures, and encourage natural enemies to control pests rather than using pesticides. Crop rotation keeps the nutrients in the soil healthy so chemical additives aren’t needed to make crops grow. And when the soil is healthy water is better absorbed into the ground which means farmers can use less water. In fact organic cotton uses 24% less water per 1 kilo of cotton than conventional cotton. Imagine what that would look like over an entire farm. Now its great for everyone’s conscience that organic cotton is on the rise. But it’s processing once it is picked is still far from sustainable. In order to fully understand how to change cotton processing, we need to understand the current process of transforming cotton from a fiber into fabric. The steps in processing cotton include cake formation, scouring, purifying, finishing, and drying. The cotton is soaked in order to make the cakes, which then get put into vessels called kiers for scouring. The scouring happens when a sodium hydroxide solution is pumped through the cakes in order to remove the waxy coating that naturally occurs on cotton fibers. The waxy coating has to be removed in order for cotton to obtain the soft, water absorbent properties we love so much. Then, in the purifying process the fibers are bleached with a purifying solution that sometimes contains chlorine—although more recent practices are totally chlorine free (TCF) and only use the environmentally friendly hydrogen peroxide to achieve the same effect. After the cotton has been purified a finish is added to the fibers in order to aide the spinning process. The remaining finishing solution is drained before the fibers are dried. Throughout cotton processing, liters of water and various solutions are used. But what happens to the solutions after use? Can they be recycled? There are many opportunities within cotton processing to recycle waste water, recycle solutions, and develop eco-friendly solutions. A study conducted by Shivaji University in 2015 shows the process of an experimental treatment plant that recycles city wastewater for use in the textile industry. After use the water can either be re-directed back into the treatment plant or sent back to the city wastewater treatment plant for continued use. This method creates minimal waste and uses very little fresh water; it would be an ideal model for organic cotton processing. One cotton producer, Red Land Cotton, is looking at fashion from an intriguing point of view. Instead of selling their cotton to the highest bidder and leaving it at that, Red Land Cotton has taken the reigns and began producing its own line of heirloom-inspired bed linens. By gaining control of the production process, they were able to insure the quality of their product while also insuring the continued success of their business. Could this be the beginning of a new age? Perhaps the farm-to-closet business model will be the new wave of the future. Right now, dozens of companies in the apparel industry are developing programs that use organically grown cotton due to consumer demand (Organic Trade Association). Buyers truly have the power to change the fashion industry. The more people who turn toward sustainable fashion brands, the more weight those brands will cary in the industry. At the same time, the slow-fashion movement is gaining traction with customers who would normally buy fast fashion. The next time you go shopping, consider buying from brands such as Naja or La Vie en Orange for lingerie; People Tree, Everlane, and ArmedAngels for general apparel; and Patagonia for sport and outerwear. They might cost a little more up front, but they’ll last you a lot longer. Cotton Processing. (2017). Barnhardt Natural Fibers Group. Johnson, E. (2015, January 15). The real cost of your shopping habits. Forbes. McNeil, M. (2015, February 9). U.S. organic cotton acreage seen highest in almost 20 years. Organic Trade Association. Organic Cotton Facts. (2017). Organic Trade Association. TCF Certification. (2017). Barnhardt Natural Fibers Group. Sonaje, N. P., Chougule, M. B. (2015, April). Wastewater recycling in cotton textile wet processing: an experimental study. International Journal of Engineering Research and General Science, vol. 3(2). Walls, C. (February 25). Growing crops that bring agriculture and fashion closer than ever. Agamerica Lending. What is “organic cotton”? (2017). organic-cotton.us.